The value of nature to people cannot always be easily quantified in dollars, jobs, yields or visitor numbers. A whole suite of benefits exist that are deeply important—culturally, spiritually and even scientifically—but are hard to quantify or value. 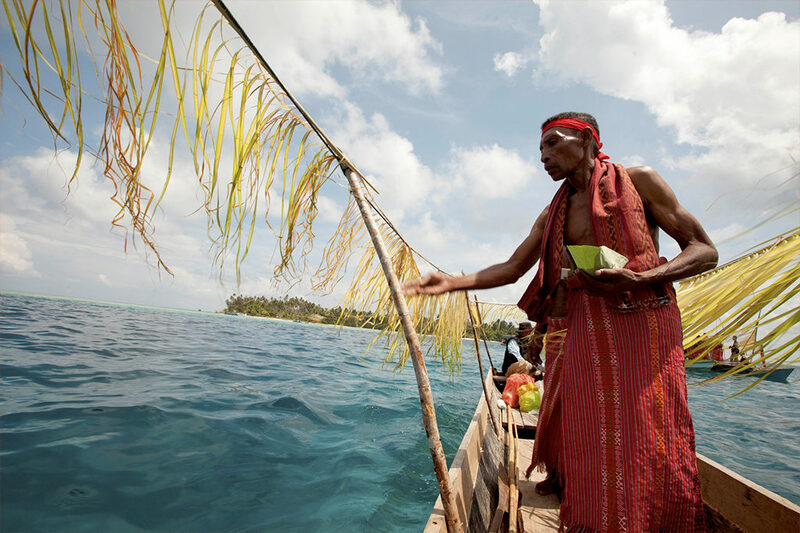 Traditional leaders from Kofiau Island, Raja Ampat, give offerings to the gods and goddesses of the ocean to guard the sea through a ritual called Kakes. Kakes was held after a ceremony where the Kofiau traditional elders gave a support letter to the Raja Ampat government declaring the zoning system for the Kofiau Marine Protected Area. The cultural importance of nature is widely accepted and can be seen in the support for key places and species key species. Iconic places such as the Great Barrier Reef or the Galapagos Islands have a place in a global heritage, as have many marine species: whales and dolphins, seahorses, sharks and myriad others. This association runs throughout human history—from the rock art and paintings of Easter Island, Baja California and Australia, to the marine creatures adorning the vases of the ancient Greeks and the frescoed tombs of Egyptian pharaohs. In many traditional societies, nature is simply part of life and culture, accepted and embedded into all aspects of living and celebrated in song, dance, story, dress and so much more. In more modern cultures, experiences of nature can be more remote, but the place of nature is still strong as inspiration in art and songs, books and broadcasting, in symbols, logos, mascots and much more. Few may get to see dugongs or dolphins in-person, or to visit the famed shores of tropical reefs, but they still hold a high place in our minds and our worldviews. Respect and love of nature forms an integral part of most of the world’s faiths and creeds. It is held that believers can experience or come close to God or divinity in the created realm of nature, which can, in turn, support faith and enrich lives. In a few cases, a clear and tight linkage is found to holy or spiritual places in marine settings perhaps best exemplified in the taboo areas observed in many traditional Pacific cultures, but it is more widely expressed through broader attitudes to nature. Respect for all living creatures is foremost in the preaching of many in Hindu and Buddhist traditions. In 2014, Pope Francis, together with fellow Christian leaders from the Orthodox churches, led a powerful call for respect for nature in the Papal Encyclical Laudato Si. They made it clear that, for over a billion Christians worldwide, it is not a choice or a luxury to care for nature, but a moral imperative. Many people without any clear adherence to any specified religious faith share similar views on the importance of nature, or of the rights of animals, species, ecosystems or natural processes simply to exist. Indeed such existence values are considered to hold, irrespective of whether these species or ecosystems are observed or even beneficial to humans in any way at all. There is a strong sense of the value of nature for health and well-being, as well. A part of this array of values is perhaps captured in studies such as ours of the recreational uses of nature. Likewise, a small-but-growing number of studies are also showing the considerable health benefits of nature. 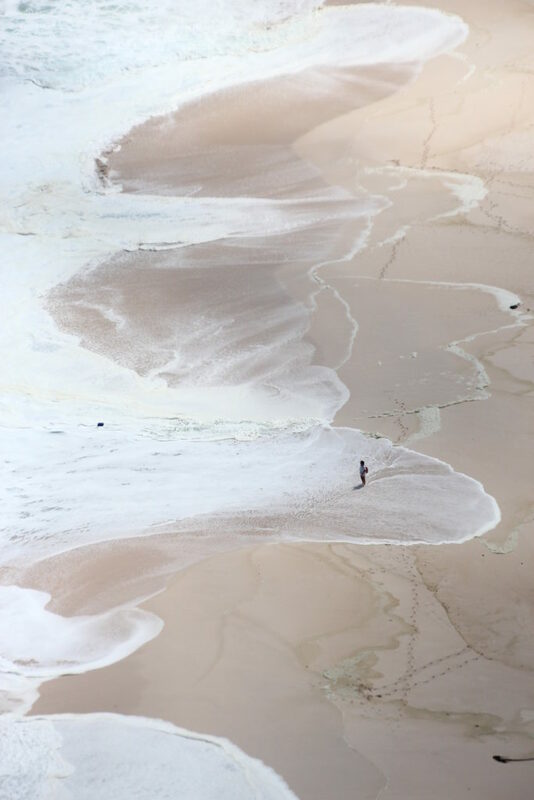 Much has focused on proximity to greenspace and parks, but the sea is equally important. One UK study, for example, showed that individuals living near the coast are generally healthier and happier than those living inland. This effect was strongest in more deprived coastal communities and so was not a simple function of wealth and health being linked to expensive coastal properties. Biodiversity refers to the variety of life on Earth, and it is highlighted, often alongside ecosystem services, as a target for conservation attention in many international agreements such as the Convention on Biological Diversity. Simple interpretations of the term typically use species as units of value and the sum of species as a quantification of biodiversity. Experts assign importance to areas with the most species, but modifications often prioritize places across a framework of biogeographic patterns. This spreads important areas to cover a much greater total number of species. Others draw attention to species’ rarity or to endemism, pointing out that threatened species, or those with very restricted distributions, may require greater attention. 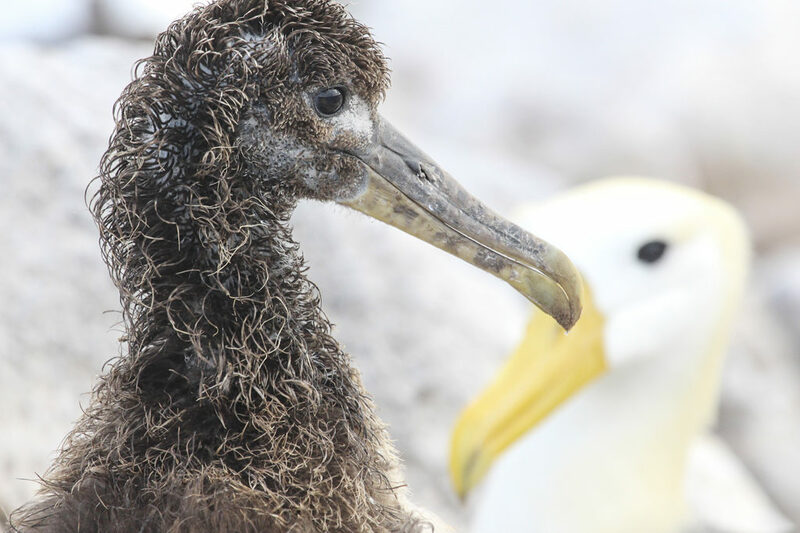 Waved albatross on Espanola Island, the sole breeding location for this critically endangered species in the Galapagos Islands. Many of these measures of conservation importance link to other ecosystem services. Species richness, for example, directly correlates with the wealth of potentially important new pharmaceuticals that may be derived from the ocean, while places of highest productivity link to potentially high sustainable fish catches. However, the connections are not always clear or tightly correlated, and, for many, biodiversity might be seen as an ecosystem service or benefit in its own right, or as a metric to quantify existence value or scientific value. The high seas represent nearly 50% of our planet’s surface and provide hundreds of billions of dollars’ worth of services that support our economies. These are ocean areas that lie outside of any nation’s jurisdiction- under little control, they are currently poorly managed and increasingly threatened by expanding industrial activities and climate change. 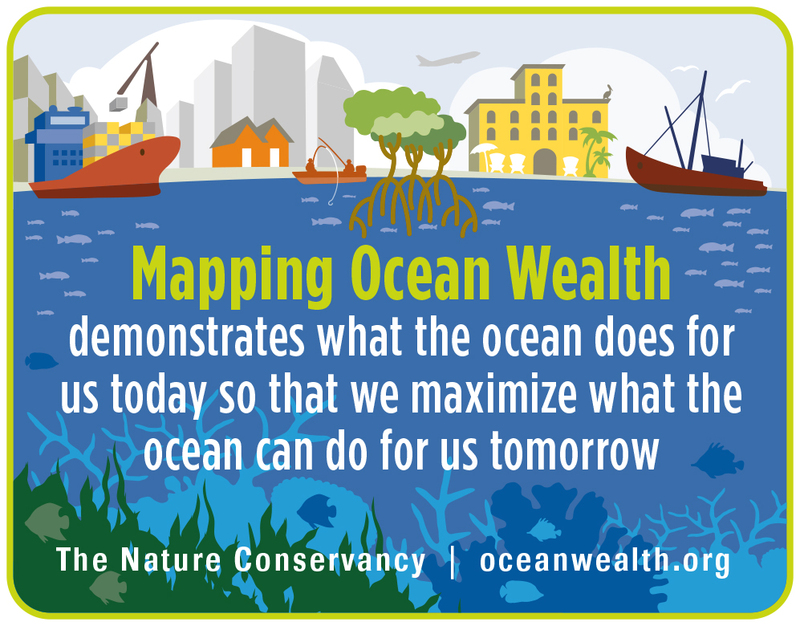 If we want our ocean to continue to provide food, absorb carbon, and regulate our climate, we must reach a more comprehensive understanding of the magnitude and distribution of these services. We know that saltmarshes are important source of blue carbon, but without a global map of these habitats, it is difficult to understand the scale of of this benefit worldwide. Novel and innovative methodologies for generating a global saltmarsh map would have far-reaching benefits in describing the importance of these habitats. Outstanding Universal Value. While it is hard to put a number on such values, World Heritage Sites are widely celebrated for their natural values. 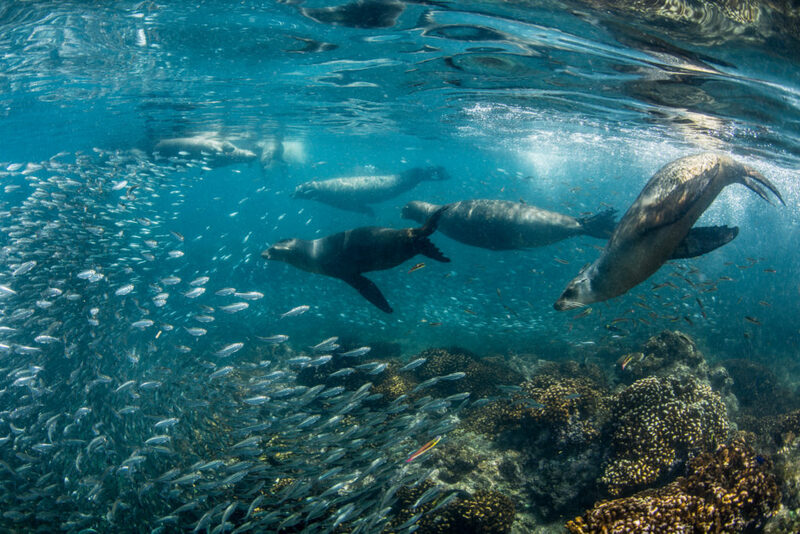 Above: Sea lions and the rich marine life of the Gulf of California. One of the most compelling syntheses of what might be considered important natural places across cultures worldwide is the concept of “Outstanding Universal Value” described by the World Heritage Convention. Countries are called upon to propose World Heritage Sites that may be considered to be of exceptional or superlative value to the world in some way, and a tight system of review follows. Natural Sites are listed based on a variety of criteria, ranging from beauty and aesthetic importance through to ecological processes, geology, biodiversity or scientific interest. To date, some 47 marine and coastal World Heritage Sites have been listed—including many familiar locations such as the Galapagos, the Belize Barrier Reef, The Wadden Sea, and the Sundarbans. The importance of World Heritage Sites is, to a large degree, accepted by society, what is interesting, however, is to compare these sites with many of the ecosystem services values described elsewhere in this book. The clear and accepted values that underpin such sites cannot, perhaps ever, be converted to a mappable metric that could be modeled worldwide.